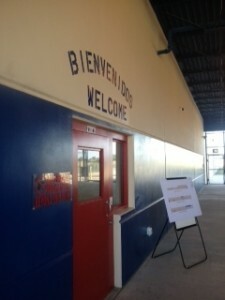 Guards at the Karnes County immigration detention center violated the first amendment rights of three undocumented migrant women, who were punished for speaking out about their plight, according to a lawsuit being heard today at a federal court in San Antonio. The plaintiffs, Delmy Cruz, Polyane Soares de Oliveira dos Santos and Lilian Rosado, do not seek monetary damages from the government. The injunction is trying to prevent the detention center’s operators from continuing to violate their civil rights. Trigilio says they were tossed in a medical isolation unit when they protested.